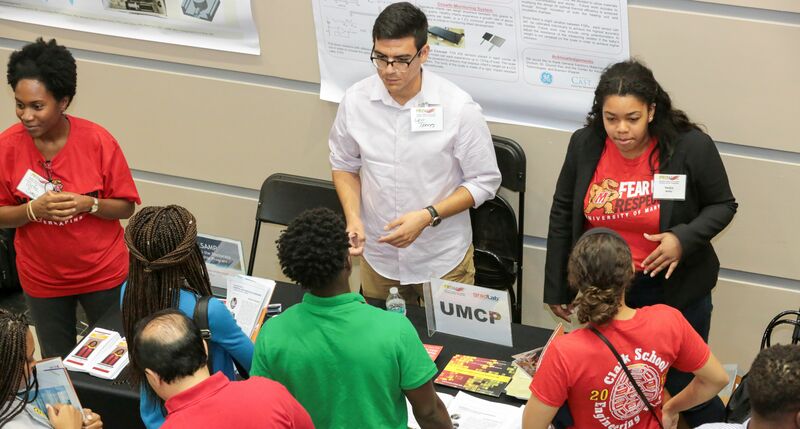 The University System of Maryland hosts signature Louis Stokes Alliance for Minority Participation programs promoting diversity in STEM at the undergraduate and graduate levels. These programs include the following: LSAMP at UMBC (Meyerhoff Scholars), LSAMP at UMCP (through the CMSE), LSAMP at UMES (STEM Scholars), LSAMP Bridge to the Doctorate (BD) at UMBC, and LSAMP BD at College Park. Our activities at various schools include summer bridge, mathematics instruction, research experiences, and preparation for graduate school. Through our collective LSAMP programs for the University System of Maryland, we have programs that provide academic and professional development for undergraduate and graduate students at our universities. As part of the pathways to graduate school and into careers initiative of the Council of Graduate Schools, we partner with NSF’s PROMISE: Maryland’s AGEP for the University System of Maryland to learn more about options and opportunities that will lead to the PhD and a STEM career.